Ruby Hotels, since unveiling plans for UK and international expansion at the end of last year, has announced plans for its first Nordic property in the Finnish capital, Helsinki, to open in the first quarter of 2021. The new hotel forms part of an expansion plan for Ruby Hotels to unveil a total of nine new hotels by 2021. 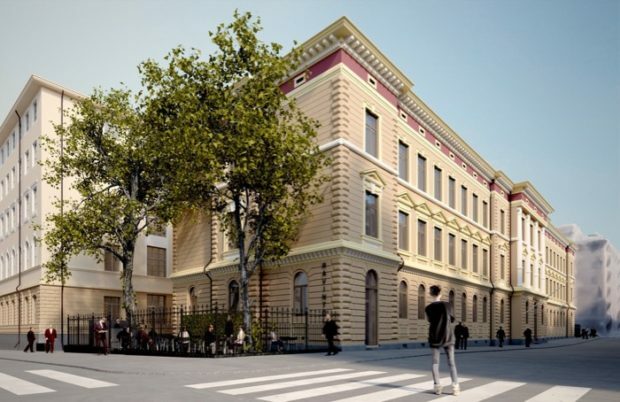 Set within a historic 19th-century building, in the same plot which housed Finnish national poet Johan Ludvig Runeberg, the new hotel will be located in Helsinki’s charming Kruununhaka district. Enjoying a central position between the city’s main railway station and the hip district of Kallio, guests will be just steps from hotspots including the harbour and marketplace, Helsinki cathedral and the beating heart of the local nightlife, Tori Quarters. A collaboration with Finnish project developer ICON Real Estate, the hotel will house 142 guest rooms, ranging in size from cosy ‘Nest’ rooms (13-15m²) to expansive ‘Loft’ rooms (23-38m²), a stylish 24-hour bar and breakfast area, a spacious outside terrace and – in a nod to traditional Finnish culture – Ruby Hotels’ first in-hotel Sauna. A laid-back, contemporary design will take inspiration from the area’s Jugendstil art-nouveau style, with quirky touches such as the inclusion of a Marshall guitar amp in each room. Guests will be able to use the amp with their own guitar or one borrowed from reception, and will enjoy ‘Ruby Radio’, the hotel group’s own internet radio station. Cutting-edge technology will be on offer throughout the property; in each room guests will find a personal tablet PC and smartphone pre-loaded with Ruby Hotels’ carefully-curated Helsinki city guide, social media apps and unlimited data and calls to use throughout their stay. A state-of-the-art self-check-in system will make use of tablets to reduce check-in time to under one minute, leaving guests free to make the most of their stay. The Ruby Helsinki development is a part of a half-city-block-sized (10,000m2) real estate project which will revitalise the neighbourhood, with a further 50-60 luxury apartments ranging from studios to 4-bedroom apartments also under construction next door.